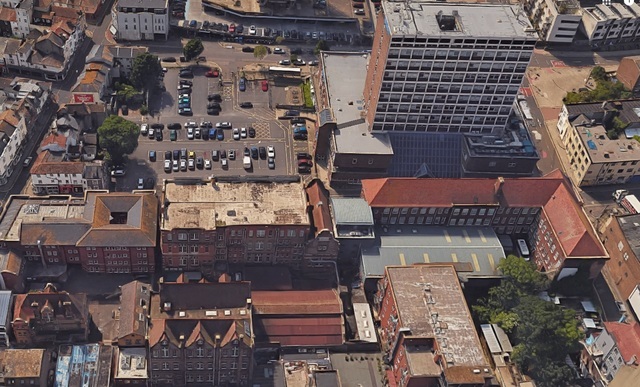 Greater Brighton Metropolitan College, known as the Met, can build on its car park in Pelham Street, Brighton. 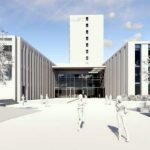 The college plans to build a £16 million creative and digital industries centre there as an extension to its tower block, which will also be refurbished. The Met also has outline planning permission to knock down the old Victorian school buildings on the opposite side of Pelham Street. In their place 135 new homes are due to built on land which is also bounded by Cheapside and Trafalgar Court. 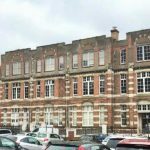 Members of the Brighton and Hove City Council Planning Committee were told how various applications to redevelop the college had fallen through in the past 15 years. They were told that even though the £16 million project has a £5 million grant from the Coast to Capital Local Enterprise Partnership and the proceeds of the sale of the Victorian building, it would still fall £1.9 million short when it came to covering costs. 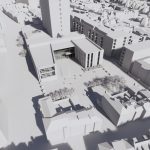 However, councillors were told that the shortfall was considered acceptable as the building needed updating and the current college buildings were described as “not fit for purpose”. They were told that a private gated community was considered the best solution along with an accessible public space. St Peter’s and North Laine Green councillor Lizzie Deane raised the issue of the lack of any affordable housing. She said that council policy stated that at least 40 per cent of homes in new developments should be affordable. 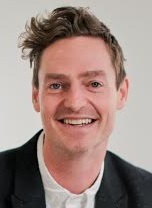 Councillor Deane said: “The city as we know is in desperate need of more housing. Met chief executive Nick Juba said that the development was not about making a profit but being an investment in education as currently the facilities had the lowest grading. He said: “We are the college that trains our future plumbers, chefs and hairdressers. “They are the economic engine at the heart of the Greater Brighton economic area. “It is really not just about economic development. We are one of very few drivers of social mobility in the city. Green councillor Phélim Mac Cafferty asked about the financial viability of the project both with and without affordable housing. Mr Juba said that it would not be viable with affordable housing. The committee heard that the council and college had agreed that if it did make a profit then it would be split to cover a contribution towards affordable housing. Conservative councillor Lynda Hyde asked about retaining the old Victorian building. She said: “It is a Victorian building and part of Brighton history. The planning officer said that the council’s heritage officer did not believe that the building was worthy of a local listing as it had no significant impact on the city architecturally or historically. Neighbour Jonathan Bromberg spoke to the committee about his concerns about increased anti-social behaviour due to the public space, as seating would attract street drinkers. He said: “I am unhappy the site is open until 10 o’clock at night as at most times of the year it is dark when it will be closed. Labour councillor Clare Moonan asked officers to strengthen the planning conditions to ease the concerns of neighbours in the North Laine. 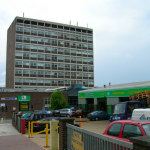 Conservative councillor Carol Theobald expressed her disappointment that the Pelham Tower was remaining, describing it as “an ugly building”. Labour councillor Warren Morgan said: “I know the site well. It is antiquated and desolate in parts which could be made better use of. “It is much needed and is going to provide life opportunities for young people in the city. Labour councillor Julie Cattell, who chairs the Planning Committee, praised the college for providing opportunities for young people and for its “excellent” foundation art and design course. She said: “This is not from a housing developer. It is not making a profit. The only way to get affordable housing is from a development’s profit. “This is not the sort of application where we can do that. Councillors voted unanimously to approve the application.